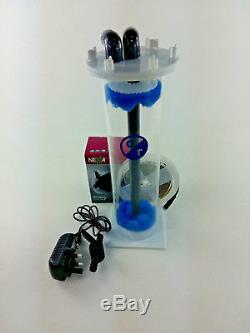 Algae Reactor A50 Full Kit (50gals/ 200l). For removal of phosphate and nitrate from Marine and Freshwater systems. With a little help of some cheato (algae). 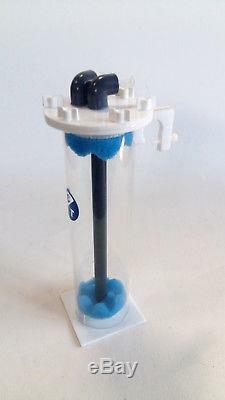 Designed as a free-standing, in sump or as a hang-on reactor. As the reactor will be sent without a bracket otherwise. Algae (PO4 150) reactor, Maxijet 500, 2m of Piping, 12v LED strip (1.5m), control valve, 12v adapter and 3 x cable ties. The LEDs supplied will b e a Full Daylight Spectrum. The item "Algae Reactor A50 (200l) Full Kit. Phosphate and Nitrate Removal" is in sale since Thursday, March 8, 2018. This item is in the category "Pet Supplies\Fish & Aquarium\Filters". The seller is "bosshogthemasterpig" and is located in Sleaford. This item can be shipped worldwide.